When I heard that Hollywood would make a movie about a mythical figure of austrian folklore, I knew that I had to see it. 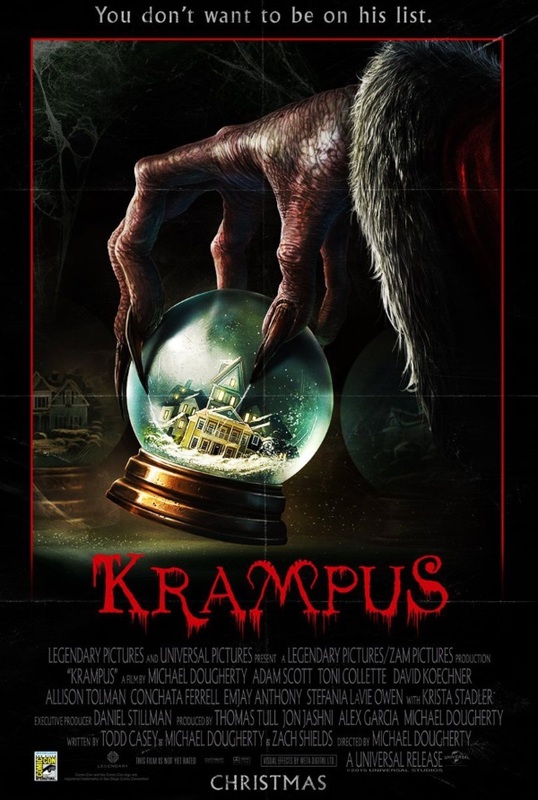 Now, granted, the Krampus presented here has very little to do with the one that I grew up with, but in a way, that only enhanced my enjoyment of the movie, since it added another layer to its (already considerable) hilarity. My favorite scene can be found right at the beginning, where they perfectly mock the commercialization of Christmas, with a hilarious slow-motion-montage of department store-mayhem, set to Bing Crosby’s festive “It’s beginning to look a lot like christmas”. If there was a more to-the-point and funny damnation of consumerism last year, I missed it. But while for me, this already was the highlight of the movie, there also was quite a lot to enjoy afterwards. For example, even though they changed the Krampus-folklore-tale beyond recognition, they at least had the decency to cast a real austrian actress as Omi – something that I very much appreciated. I also loved Krampus’ helpers, with the gingerbread men especially funny (even though I probably wasn’t the only one who immediately had “Shrek” on their minds). But despite all laughs, there’s also a dark undertone that leads to a pretty grim ending that I definitely didn’t expect in a horror comedy like this. Some might criticise the movie for exactly that, wishing for a different outcome – because as it stands, I wouldn’t really recommend watching “Krampus” with your children. However, I really loved that they had the guts to follow through with it. I also liked the cast, there were a couple of nice, quite, sentimental moments (usually involving Omi), and the movie was very well shot, offering some haunting images and a nice, creepy mood. Overall, I had a blast with it, and found it to be incredibly funny and entertaining. What it’s not, though, at least in my opinion, is scary. For me, that’s the one aspect where this falls short of Dougherty’s first directorial outing, “Trick R’ Treat”. I smiled, I laughed, I was entertained, and occasionally I was even distraught – but not for one second was I actually afraid, let alone terrified. It you can live with that, and don’t mind the fact that this has absolutely zero to do with the original austrian folklore tale, then you should have a pretty good time. Just don’t expect it to creep you out. This entry was posted in cinema 2015, movie reviews, new releases and tagged 2015, cinema 2015, comedy, horror, Krampus, Michael Dougherty, USA. Bookmark the permalink.